Autism Spectrum Disorder, formerly termed Asperger’s Disorder, is a social-developmental delay that may affect a child’s overall social, emotional, and academic functioning. Non-Verbal Learning Disorder is classified as a learning disorder with unique features but similar deficits in social functioning. Many children or teens may display features of Autistic Disorder including deficits in social functioning, immature communication, rigidity in thinking, preoccupation or intense focus on idiosyncratic interests, yet not exhibit the severity in deficits observed in Autism. Some children or teens with developmental disorders may display extremely high functioning in some areas, yet exhibit noticeable impairments in particular areas of social functioning, emotional responsiveness, or interpersonal insight. Children with these developmental disorders exhibit a range in presentation. Some children on the spectrum may more actively seek out companionship with others, but have increased difficulty establishing effective friendships with peers. Other children or teens may prefer to withdraw or may become overly excited or anxious when with other peers and may prefer to spend more time alone. Children or teens in this group are at risk for mood disorders often associated with difficulties in adjusting to social, emotional, or academic demands. Parents may struggle with what and when to tell their children about specific deficits that they may have. Sharing this type of information can be helpful in assisting the child in understanding their own unique struggles, but can also lead to children feeling self-conscious and different than others. Counseling and therapy can be an important component to the overall treatment of spectrum disorders and developmental disorders, including Asperger’s Disorder. Therapy can help in building social and emotional skills that may be lacking as well as helping the child to gain insight into particular areas of deficits. Counseling can be important in helping a child to feel comfortable and in control of some of the unique challenges they may be facing. 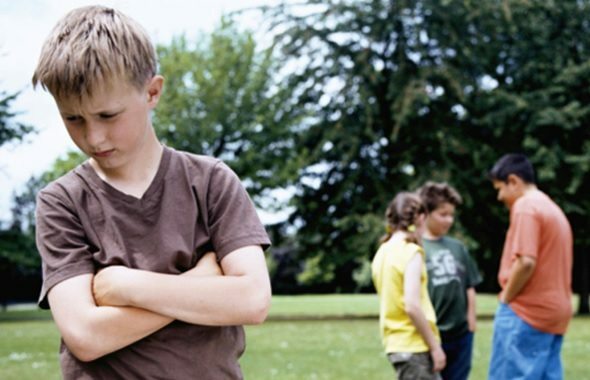 It is not uncommon for children with a diagnosis of Asperger’s disorder to feel discouraged or depressed with the increased challenges they face in addition to the differences that they may feel they have with other children. Therapy can help the child or teen cope with anxiety as well as frustrations associated with adjustment. Behavioral management is also a common treatment for children and teens with spectrum and developmental disorders. At Pathways, we have clinicians certified in Applied Behavior Analysis, a treatment of choice for developmental disorders. Individual therapy can also supplement group approaches to social skills training and help the child or adolescent improve perspective-taking abilities, conversational exchange, frustration tolerance, and interpersonal situational adjustment. Group counseling is a popular treatment option to address social skills deficits. Parents will often remark that their children are good at conversing with adults but struggle when with peers. Group counseling and therapy can be especially important in helping children to address social skills delays and improve interpersonal relationship functioning. Schools social workers, psychologists, therapists, and psychiatrists often refer children and adolescents diagnosed with Asperger’s Disorder, spectrum disorders, developmental disorders, and Non-Verbal Learning Disorder to the social skills programs at Pathways. Click here for more information about the Activity Social Skills Groups for Boys or our Social Skills Groups for Boys and Girls program. Asperger’s Disorder, Autistic Spectrum, Nonverbal Learning Disorder Assessment, PDD and Psychological testing can be important in helping to identify and accurately diagnose these types of disorders. There are unique measures used to help in differentiating and identifying Asperger’s Disorder in children and teens. Testing is also helpful in assessing other emotional or cognitive difficulties that may accompany this disorder as well as coordinating and supporting effective treatment strategies with school, home, doctors, and specialists. Pathways Psychology Services offers Autism counseling & Aspergers counseling to Naperville, Wheaton, Glen Ellyn, Aurora, Oswego, Geneva, Winfield, Carol Stream, West Chicago, Bartlett, Downers Grove, Plainfield, and surrounding IL communities.